Stay at our hotel near Lowry Park Zoo for an animal adventure! Lowry Park Zoo is a 63-acre zoo in Tampa. 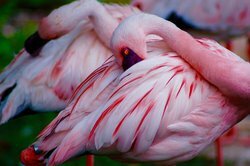 Voted the #1 family-friendly zoo in the US, Lowry Park is dedicated to protecting, rehabilitating, and educating the masses about the world’s most amazing animals. Located in Tampa’s Lowry Park, the zoo is just 25 miles or a 40 minute drive from the comfort of your hotel room. Visit all the animals, feed a giraffe, and watch a manatee swim, and then return to our stunning beachside hotel to relax by the water. Lowry Park Zoo offers up-close animal encounters to engage little ones and create unique memories. Get to know an Aldabra Tortoise, the second largest land tortoise in the world, or a one-horned Indian rhino, a rare treat and endangered animal. You can also pay $5 to feed a variety of animals: giraffes, stingrays, and colorful lorikeets! A variety of interactive animal exhibits are built into the zoo’s design at no extra cost. Wander through the wallaby enclosure and make sure to look up when passing through the main entrance, as several macaws may pass overhead through the strategically placed perches. A petting zoo at Wallaroo Station also has a variety of adorable fuzzy farm friends for little ones to feed and pet. Between visiting the zoo’s many interactive stations and going on a dolphin tour in the Gulf, our hotel near Lowry Park Zoo is close to creatures across the animal kingdom! The best way to make the most of your trip to Lowry Park Zoo is to plan out your trip! 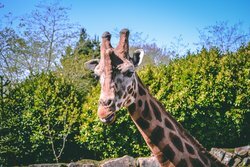 There are a variety of special events at the zoo all year round, as well as special attractions and tours. No matter what time of year it is, visiting the zoo is always fun. It makes for a delightful day trip, with a variety of dining options to keep your stomach satisfied. To get from our hotel to Lowry Park Zoo, simply get off the I-275 at Exit #48 and follow the signs for the zoo.